For the first time all season, and after an inexcusable loss to the New York Knicks on Wednesday night at TD Garden, Celtics head coach Brad Stevens acknowledged the seemingly impossible. Perhaps the Celtics -- yes, the same Celtics squad that got a healthy Kyrie Irving and Gordon Hayward back in action after coming just one win away from the NBA Finals without either player at their disposal last spring -- just aren't that good. I mean, it's sound reasoning, all things considered. Good teams do not allow the 4-14 Knicks to come into their building -- on the second leg of a traveling back-to-back the night before Thanksgiving, no less -- and drop 117 points on them. Good teams do not allow Trey Burke, a player that entered action averaging under 13 points per game, to drop his first double-double of the season on them with an absurd 29 points and 11 assists off the bench. And good teams do not visibly struggle to hit open shots with the frequency these Celtics have out of the gate this season, as Wednesday's effort featured their ninth single-game three-point shooting percentage under 35 percent. But I'd like to think we're all smarter than falling into hyperbolic hot takery suggesting that the Celtics are not a good team. Mad Brad's comments instead seem like an acknowledgement that these Celtics have hit rock bottom. Through 18 games, the Celtics remain without a starting five that seems workable. Gordon Hayward has been an on-again, off-again player that looks every bit like somebody that played just five minutes last season. Out of 90 NBA players to have attempted at least 67 three-pointers this season, Hayward's 28.4 percent from behind the arc ranks as the fifth-worst percentage in the entire league. He's been sentenced to the bench, but it hasn't really done much to change his game, as Hayward's connected on just seven of 20 attempts over his last two games, and is just 2-for-10 from deep. You don't worry that he's officially broken, but you're rapidly approaching that time where you're almost punting on Hayward being Hayward 'til February -- maybe January if you're lucky -- at this point, no? Jaylen "Five Rings in Six Years" Brown has been energetic and a definite game-changer at times, sure, but not on a nearly consistent enough basis to justify his offseason talk of the Celtics running the East. Oh, and he's also one of the four NBA players shooting worse than Hayward from deep in that aforementioned stat among frequent three-point shooters. Among players with at least 190 attempts from the field overall and Brown's 37.4 percent ranks as the league's third-worst percentage, actually, ahead of just Eric Gordon (32.6 percent) and Ricky Rubio (37.3 percent). If there's a Celtic that seems truly haunted by last year's Kyrie-less, Hayward-less postseason run right now, it's without a doubt the third-year Brown. Move Hayward to the second unit and he can lead a halfcourt offense, sure. But if the Celtics are going anywhere this spring (read as: beating the Golden State Warriors in the NBA Finals), it's most likely with Hayward developing chemistry with the rest of Boston's starters. Brown could most definitely be an effective sparkplug off the bench, but good luck selling that to a player that clearly believes he's ready to take that next step towards stardom, even if his numbers aren't. No matter the path Stevens believes is best for the team, Nov. 22 tells you neither player is worthy of a starting spot right now. Jayson Tatum has been Kobe-esque, in both good and bad ways, if we're being honest. Al Horford doesn't seem built for 82 games at the No. 5, and most nights, this team truly lives and dies with the performance of Kyrie Irving. Some nights, not even the best performances from Irving have been enough for this team to survive. It's as if he's already gone to the Knicks. Meanwhile, Terry Rozier is out here (probably) subtweeting the Celtics and following it up with a scoreless night featuring a team-worst minus-15 rating, giving Scary Terry an all new meaning. And at the worst possible time. Movement hasn't been the issue at all times (there's actually been tons of games that see the Celtics zip the ball around the court like Globetrotters), but it just feels as if everybody wants to be a hero at the first sign of danger. Unfortunately for the Celtics in this regard, National Basketball Associate games still feature just one ball on the court at all times. If you're looking for legitimate positives, there's probably just one, and that's Marcus Morris. In a contract year, Morris has shot the lights out, and has propelled himself into the discussion as a potential starter on this team. But Stevens has made it a point to blame the group, not just one player failing to live up to their own hype, contract, or ego. There's also something to be the self-correcting that's likely to come. Say what you will about these struggles, but there's no chance the Celtics are the eighth-best team in the Eastern Conference behind squads like the Magic, Pistons, and Hornets. Just like you probably wouldn't convince yourself that the West goes through the Grizzlies, Blazers, and Clippers as the standings say on American Thanksgiving. The Celtics are somewhere in the Top 3 in the East, and might honestly be the best if they can play like that against the Raptors in Toronto. It's also hard to imagine the Celtics -- across the board, really -- continuing to shoot this poorly. There's too much raw skill on this team, be it in the starting lineup or to the No. 9 guy in the Green's rotation, for the shots to continue clanging iron. Stevens seemingly knows this, too. But at rock bottom, the digging goes up. If only because there's nowhere else to go. Ty Anderson is a writer and columnist for 98.5 The Sports Hub. 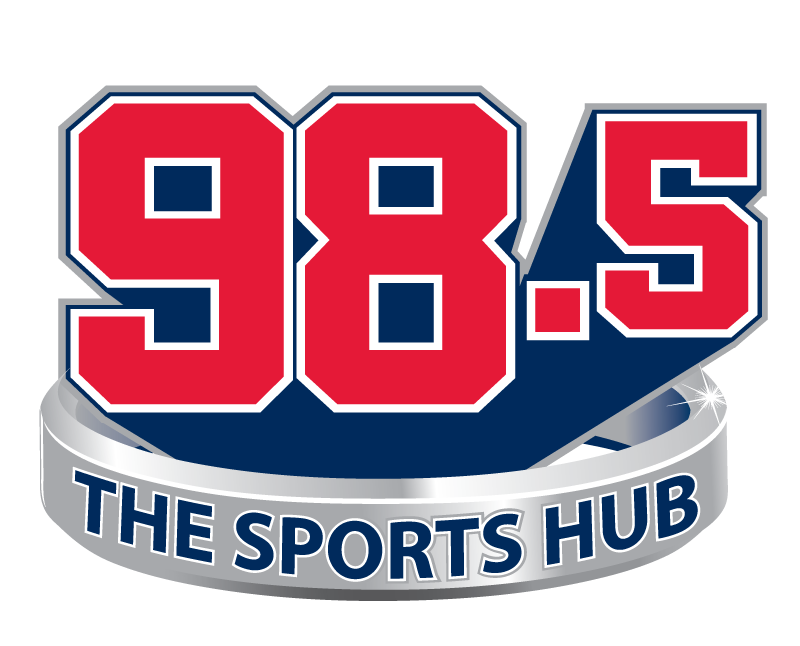 Any opinions expressed do not necessarily reflect those of 98.5 The Sports Hub, Beasley Media Group, or any subsidiaries. Yell at him on Twitter @_TyAnderson.